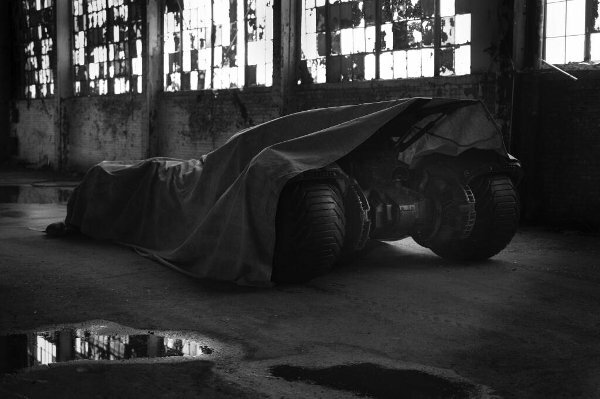 All of the images combined give us the sense that the Batmobile is kind of like a mashup of the stylish sports car found in Tim Burton's Batman movies and the tank-like Tumbler featured in Christopher Nolan's Dark Knight Trilogy (it even has a bit of Back To The Future charm in the way that the doors lift open to the the sky). Everything about this thing is awesome and intimidating, and I'd say that even if it didn't have a turret sitting on the front of the hood. Batman v Superman: Dawn of Justice, based on a story by Zack Snyder and David Goyer and scripted by Chris Terrio, is still in production and features a cast that includes Ben Affleck as Batman, Henry Cavill as Superman, Gal Gadot as Wonder Woman, Jesse Eisenberg as Lex Luthor, Amy Adams as Lois Lane, Laurence Fishburne as Perry White, Diane Lane as Martha Kent, and Jeremy Irons as Alfred Pennyworth. While filming is expected to wrap in the coming weeks, we still have a long time to wait for the finished film, as it won't be out in theaters until March 25, 2016. 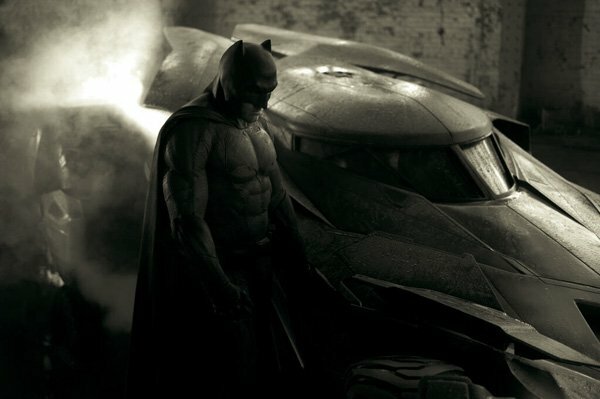 What do you think of the look of the new Batmobile? Tell us your thoughts in the comments below.